Summer May Be Gone, But It’s Not Too Late to Crack Open a Beer and Fire Up the Grill | Food and Drink | Style Weekly - Richmond, VA local news, arts, and events. J.M. Stock Provisions co-owner James Lum shares his meat and beer pairings. Scott Elmquist J.M. 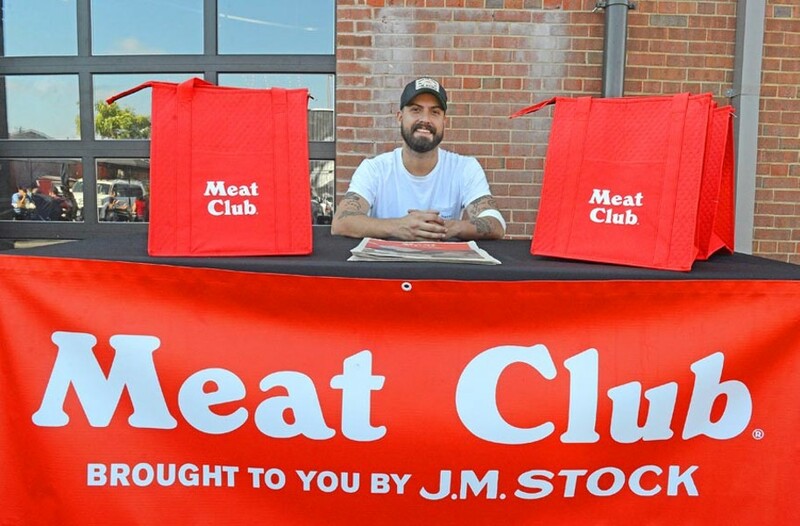 Stock Provisions’ James Lum pairs local beer with some of the options that customers might find in their bags when they join the butchery’s meat club. • Champion Brewing Co.'s Missile IPA and pit-smoked pork barbecue ribs. Sessionable IPAs are perfect for crisp and lazy autumn days with the smoker rolling and the Band playing in the background. This one from our neighbors over in Charlottesville hits the mark. A little bitter, with just enough maltiness to complement that hickory smoke. • Väsen Brewing Co.'s Session Saison and a smoked turkey leg à la Renaissance fair. I love drinking this beer out of a substantial Väsen-branded mug. And I also love chowing down on a giant smoked turkey leg as if I'm about to witness some swordplay. You can go ahead and order another round to wash down all that meat — at $4.50 a pop, it's the best deal in town. • The Veil Brewing Co.'s White Ferrari and bacon-wrapped medium-rare filet mignon. White Ferrari is smooth, rich and makes you feel like a million bucks by the end of it. Hence, the crème de la crème of beef with some sweet and salty bacon to boot will make you feel the same. • Ardent Craft Ales' Gose and a sausage, egg and cheese biscuit. Goses are my go-to for a little hair of the dog on the day after a long night. Light and tart with low alcohol content, they cut the richness of a breakfast biscuit and mitigate the ferocity of a hangover. • Hardywood Park Craft Brewery's Richmond Lager and a juicy cheeseburger. Hardywood has a knack for nailing the classics. The brand new Hardywood Richmond Lager not only gives a nod to the city, but it'll make you never want another big-corporation beer ever again. It's smooth, a little sweet and as crushable as a fat cheeseburger straight from the grill on an 85-degree day.